Good morning! 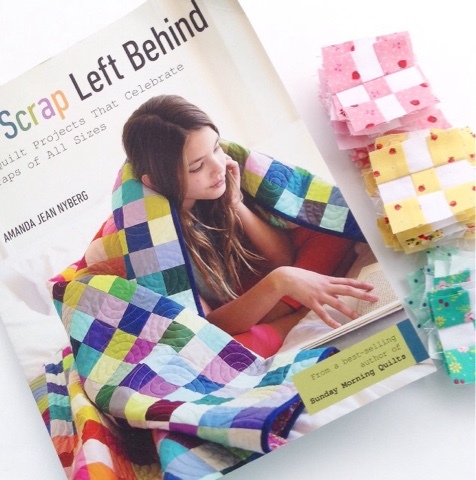 I'm so happy and honored to be a part of the blog tour for my friend Amanda Jean Nyberg's (Crazy Mom Quilts) new book No Scrap Left Behind. 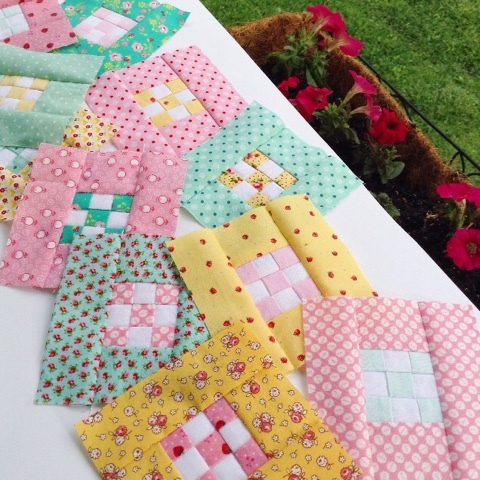 The book is full of quilts and projects that use all sizes of scraps. Down to the last little bits. I am such a fan of Amanda Jean's quilts! All of the projects in the book are great. I decided on making Mini Nines. I love the size of these nine patch blocks! I used some of my smallest scraps for this project and it was so rewarding! I turned my Mini Nines into a pillow for my youngest girl. I added a little pom pom trim to the edges. Those little nine patches are adorable! The individual squares measure 1/2 inch!!! 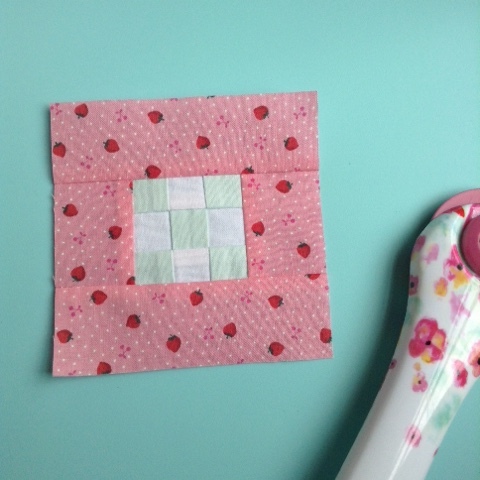 The book has great tips for accuracy and how to make these tiny blocks easily. I would love to make a larger version of the pattern. Maybe a long term scrap project the way Amanda Jean tackled it in the book. These blocks are perfect for scrap busting. Since Amanda Jean is the queen of awesome pieced quilt backs I thought I would make a cute back for this pillow using my leftover blocks. I love how it turned out and I had so much fun with this project. It always feels good to use up some scraps. We are sharing some tips for scrap organization and usage on this tour which I am always interested in hearing how others work their scraps. My system is always changing. I have such limited space. I went through my scraps a while ago and gave a lot away to my mom. Then I took everything and organized it by color into small rectangular containers. I organized it further by keeping larger pieces on one side of the container, strips in the middle and squares that are already a specific size on the other side. I have a smaller basket I keep my Japanese fabric in because I use them in a lot of small projects and they tend to be my favorites. I also always keep a basket next to my work area and that's where I put my scraps for my current project to be organized later. It usually takes a few projects before it's full and needs put away. So, that's how I take care of my scraps. Here is a list of the other bloggers on the blog tour so you can see the fun things they are making from the book!